just screamed acetate to me, AND it is a Valentine set, so since we are into February already, seemed like a perfect time to showcase this wonderful set. so they looked like glass jars. 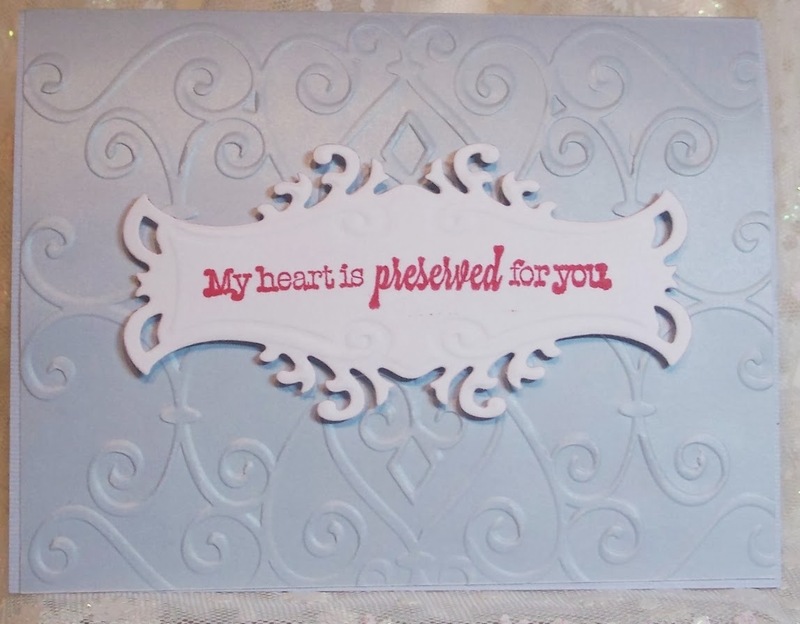 Sizzix heart scroll embossing folder. with Versamark ink and embossed with white embossing powder. Stamped the jar image on white card stock and shaded with light blue Copic Marker. Border lace punch, Martha Stewart, sponged with light blue dye ink. This is a fun little set and the possibilities of what goes in the jars is endless. 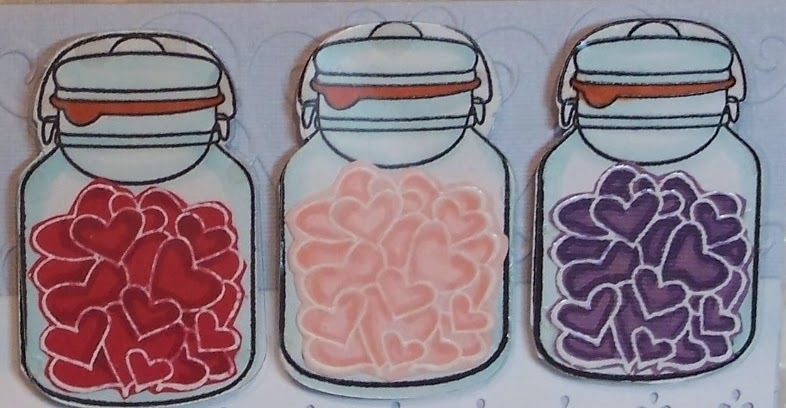 Such gorgeous jars of hearts and a great way to use acetate. I love your design and beautiful sentiment too. Oh Sue, these little jars make such a sweet card! Love how you think! Gorgeous card Sue, such a different style of Valentine card. 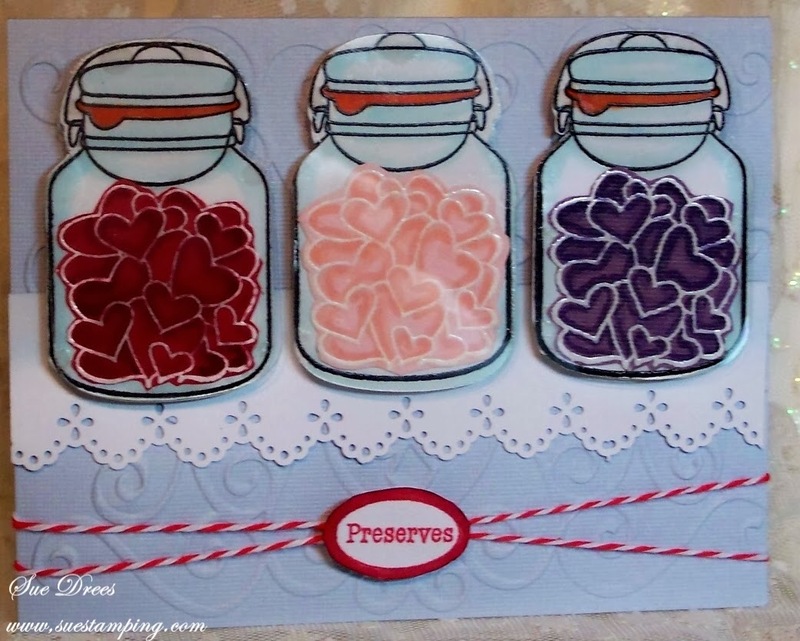 Fabulous set of jars full of hearts, what a wonderful card they make! BSS MONDAY IDEA - BUILDING BLOCK CARD.